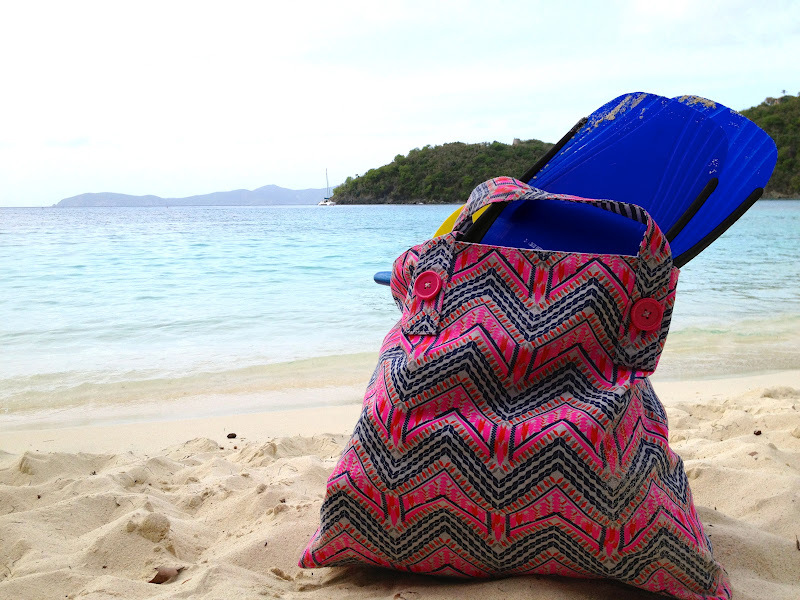 Get your beach bag ready! By the way, this bag is reversible and has a cute nautical print on the other side. Now that I'm back in Texas, I need to make the canine travel team a bag too. Even though I am only a dog mom I find that while everyone runs to the car and gets buckled in I am left scrambling to bring all the essentials. Not that I'm complaining because I do like to take care of my family but does that ever happen to you? Does your family ask you for the sunscreen, chips and expect it to come out of your "magic bag?" Well, since this is my role, I use it to my advantage and justify my bag obsessions by explaining that I need something to carry everyone's gear in!! So there you have it! Do you have any tricks to keep your beach bags ready? I am the go to person to hold everyone's stuff or they always ask if I have "blah blah" and usually I DO! I have a Lake bag packed in my closet with towels, sunscreen, large ziplocks and a couple plastic bags so when I am ready to go I can just throw in some snacks and go! Very pretty and unique bag, Laura. 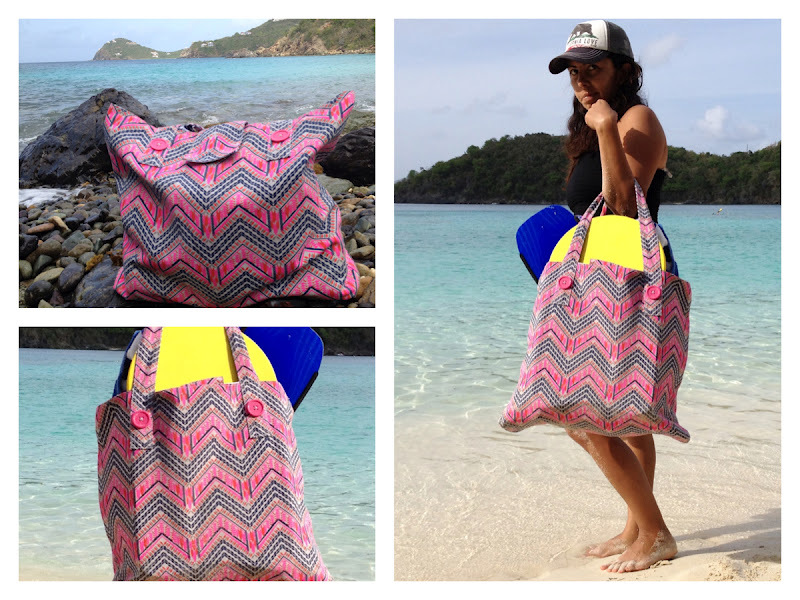 love the vibrant colors and size of your bag laura! yes, i keep my beach bag stocked and ready w/ suits, sunblock and a plastic zip bag for phone protection! also want to find a light hammock, those small portable ones that can be thrown up in mangrove trees overlooking the gulf!!! I leave it near the door to the garage so I always know where it is.